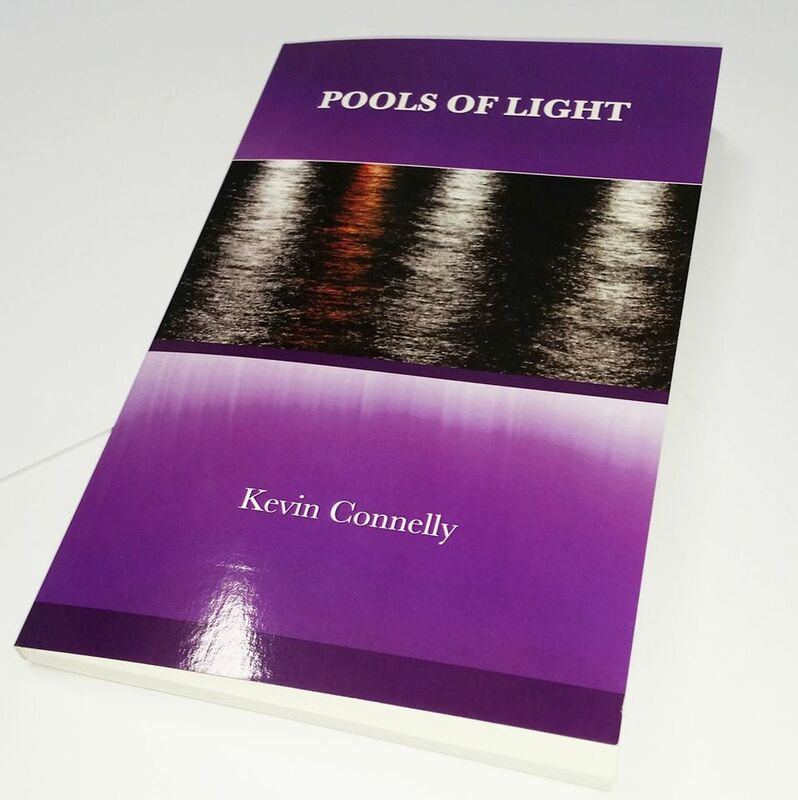 “Pools of Light”, my collection of poetry, prose and photography was published in July 2015 by Hook Publishing. To some extent the book follows the approach I have taken in this blog, a mix of old and new, personal, and public, as I said, the three P’s, poetry, prose and photography. it is very heartening to be able to say that readers of this work have been very kind in their comments and responses. At each of the launches I was able to recount the true story of two people who read it from cover to cover in one sitting. My sister Aileen Anne Brannigan, a wonderfully gifted stone carver, did so and burst in to tears! Michelle Dooley Mahon a wonderfully gifted writer, wrote a poem! 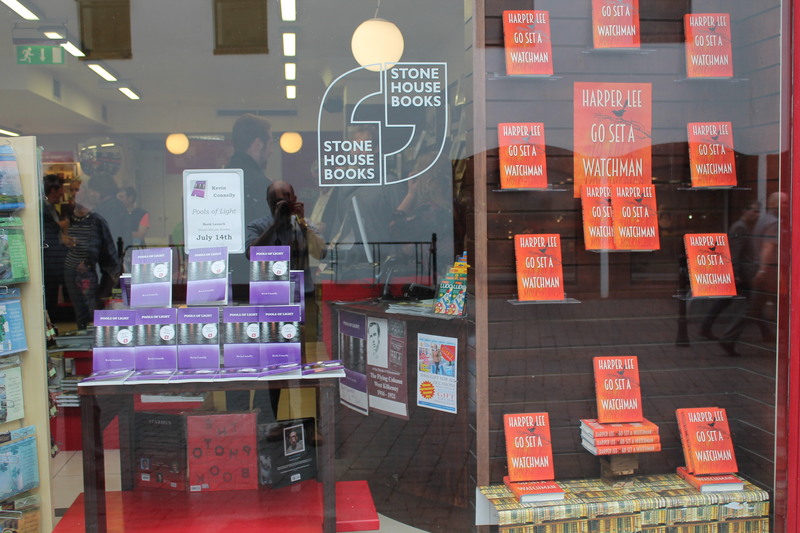 It was quite a sight for me to wander down a lovely old street in my home place of Kilkenny and see my work displayed in the window of Stone House Books, beside the new book by Harper Lee. Now that was humbling experience. The first of the book launches was in Stone `House Books with Martin Bridgeman from Local Radio station KCLR and Liz Walsh, the owner of the great bookstore at the foot of the famous mediaeval flight of steps know as the Butterslip. 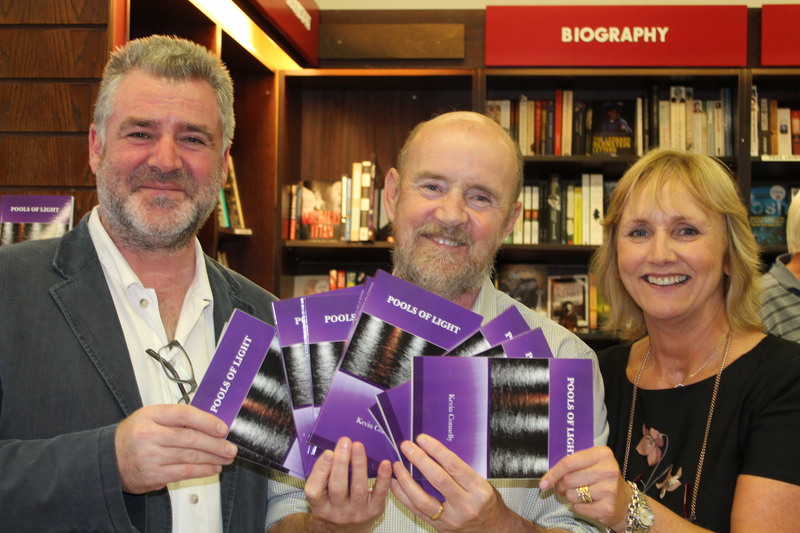 Next up was launch by Michelle Dooley Mahon in Byrnes Books in Main Street Wexford. Michelle kindly allowed me use her poem, “On speed reading ‘Pools of Light’ for the first time”. I have include it as an afterward in the book and reproduce it here. 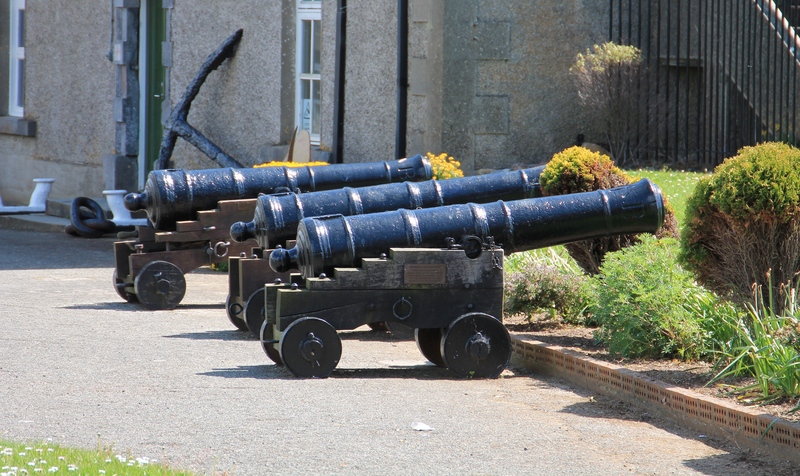 The final launch was in the Fort Conan Hotel, Duncannon, Co Wexford and with that the book is well and truly blown into the public domain, if you should purchase or otherwise run across this, hope you enjoy.